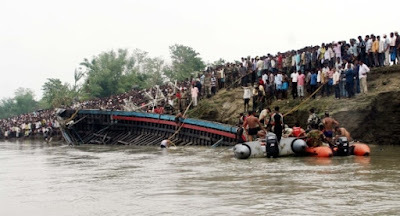 No fewer than 11 persons lost their lives as a boat conveying 29 passengers capsized on Tafa River, Maun 2 in Ipokia Local Government Area of Ogun State. Confirming the incident on Saturday, Ogun State Police Public Relations Officer , Abimbola Oyeyemi, said the boat was overloaded. Oyeyemi said “Yes, a boat capsized. It was overloaded . The boat did not have headlamp but, travelled at night . It hit a pillar in the river. The passengers on board were coming from Badagry in Lagos to Ipokia. It was the last boat that left and all the 29 traders boarded the boat. 16 of the passengers were rescued alive, 10 died on Thursday and one later died on Friday. Winner of NLNG Awards, Ikeogu Oke is Dead!